- I do not own any of these photographs nor am i trying to pass them off as my own. 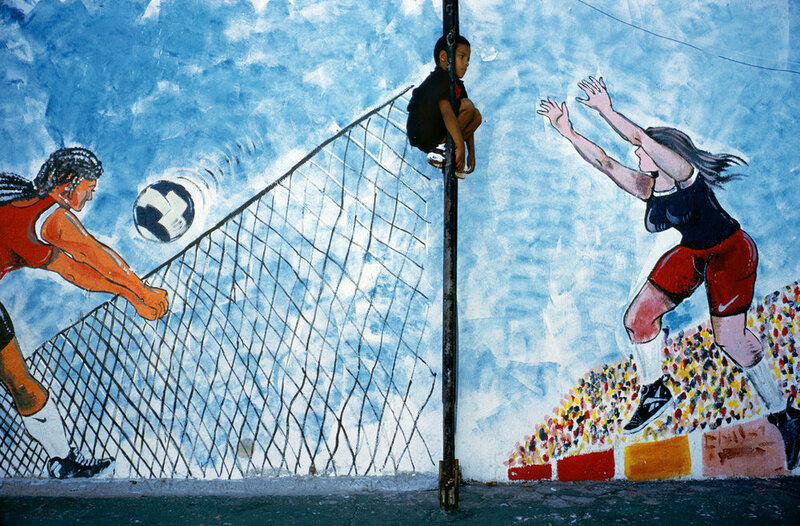 All photographs in this article were taken by Alex Webb and are used in this article only for educational purposes. 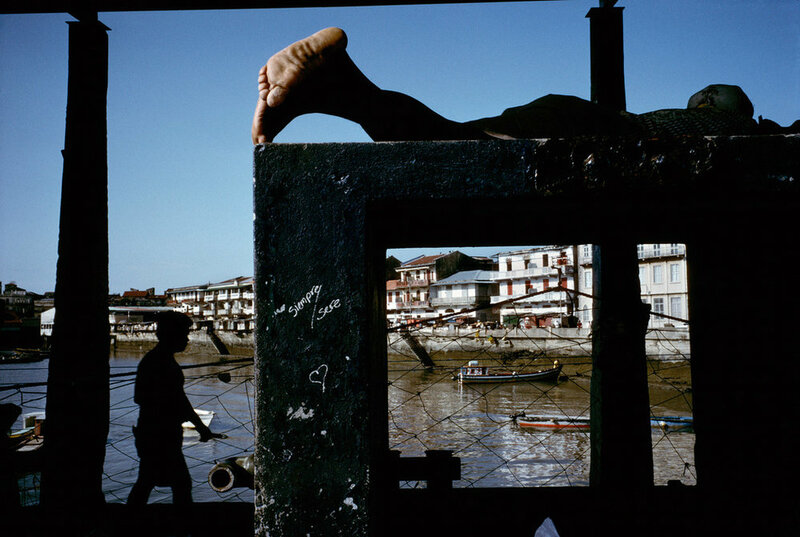 Alex Webb is an american documentary photographer, who has world renowned bodies of work, featuring countries he has visited again and again such as Haiti and Istanbul. 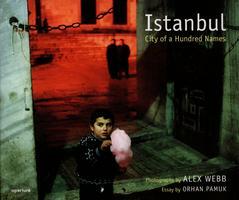 While studying at college Webb met famous Magnum photographers Charles Harbutt and Bruce Davidson. Harbutt convinced Webb to apply for Magnum and Webb reluctantly accepted. He left college as a full Magnum applicant. 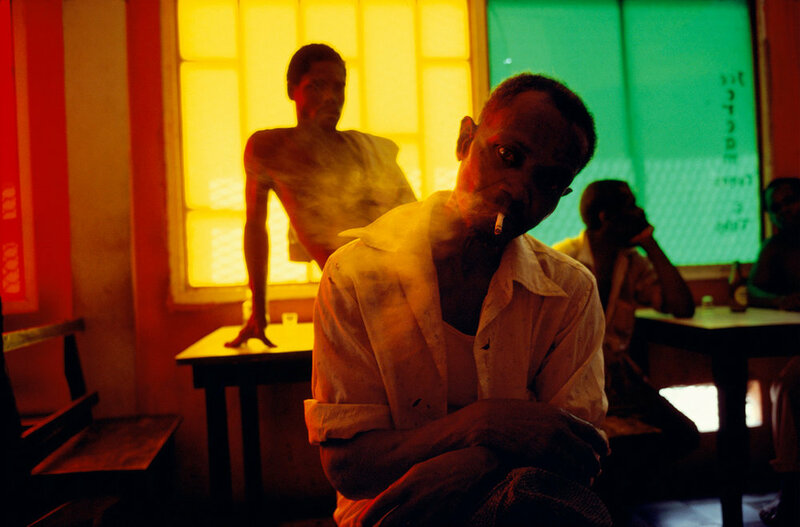 Webb started working in black & white, it wasn't until a few years had passed when he started to photograph in Haiti, when he felt that he had to use colour to respond appropriately to the environment. He almost always worked in colour from that point on and never really looked back. 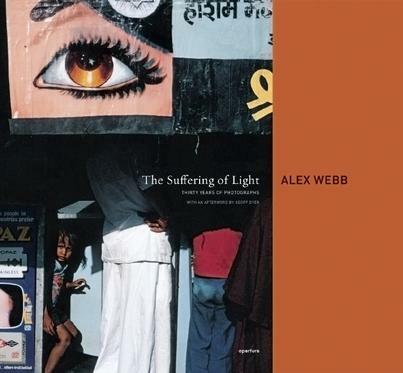 Webb has won several major photographic awards, from the 'Hasselblad Award' to the 'Leica Medal of Excellence'. Although he believes that it's never in ones best interests to chase awards or prizes as there's always something on that path that will elude you. He explains the reason he is most grateful for awards, is that they normally come in the form of a grant and that allows him and his wife 'Rebecca' to continue their work. Webb has won several major photographic awards, from the 'Hasselblad Award' to the 'Leica Medal of Excellence'. Although he believes that it's never in ones best interests to chase awards or prizes as there's always something on that path that will elude you. He explains the reason he is most grateful for awards, is that they normally come in the form of a grant and that allows him and his wife 'Rebecca' to continue their work. There’s just something about movement in a colour image that really draws you into a scene. From a personal point of view, it makes me feel as if I was there witnessing the movement as it was occurring. If a photograph is worth a thousand words then I feel a photograph containing effective movement is worth 1001. Webb is a strong believer that the photographer should completely edit through his or her own work and get creative critique before finalizing. To quote Webb ‘’I edit myself, but also part way through the editing process I bring Rebecca. My creative partner in, to look at the stuff and vice versa and the same thing happens when she does her work, I take a look at it as well.’’ ‘’I am a big believer in photographers having a big hand in the editing of their work, because I really feel that if you can’t edit your work you’re not really expressing yourself.’’ As a photographer you know what visually intrigues you, and it’s that knowledge that will help you to better edit your work. Webb’s photographs have a huge enticing appeal to them; I feel this may lie in the way he photographs. He likes to photograph with a sense of mystery and a lot of the time his pictures are very outside the box. Although the image above seems to be very inside the box, pardon the pun. A great photographer can take you all the places he has been and I feel Webb is one of these photographers. Although Webb has always been obsessed with photography and began to learn techniques from his father from a young age, he majored in English literature at college because he ‘’wanted to know more than just about photography’’. He later moved to New York to explore becoming a professional photographer. ‘’Going somewhere for the first time it’s an experiment, it’s a journey but a journey where I have no idea where the end will be. Usually what I do is I’ll read some instant guide books just to get the lay of the land and then I’ll read maybe a novel set in the place to get the feel of it. But I don’t read too deeply or too extensively in the history or the intellectual history of the place right at the beginning.’’ Webb goes on to say how he always want’s his visual knowledge of a place to develop at the same time as the intellectual knowledge. Therefore he always wait’s until he has made at least one trip before he extensively reads about a place. Webb is highly intelligent and this technique is something I am going to emulate when I go to Vietnam next year. I’ll let you know how it goes! Webb’s work is normally very layered and contains a vast range of emotion and meaning. For Webb it was when he travelled to Haiti, when he realised that it was colour that was missing from his work and since he began working with vibrancy and saturation he has always found a way to cleverly use intense primary colours. 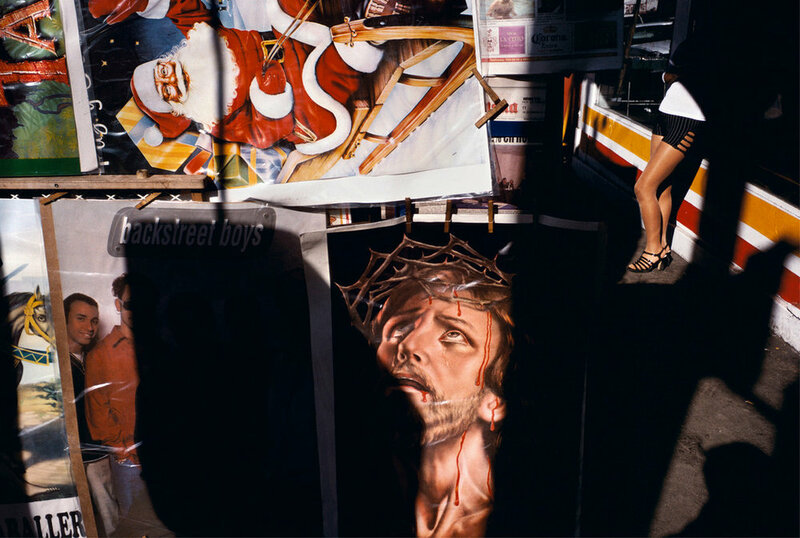 He famously likes to experiment and re-visit a place, until he is satisfied with the subject matter he has captured. 6. Always be looking for when a foreground and background naturally make a great composition. In a lot of Webb’s photographs, the background and foreground almost seem to be working simultaneously in tandem. In other words they almost look fabricated because they work so well to create the final over all photograph. The ‘eye’ is something you will hear photographers and people alike constantly mention. The ‘eye’ refers to how a photographer can observe a situation and notice subject matter that the average person would not notice. I feel that this ability of enhanced perception is something that can’t be taught, but can be improved upon by learning how to better respond to these moments as they occur. 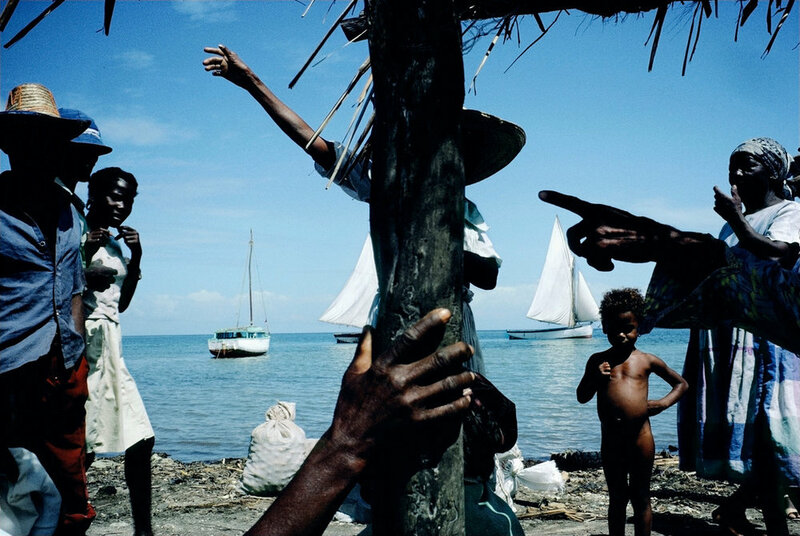 The photograph above was taken in Cuba, however Webb talks extensively about how Haiti changed him and how it was predominantly Haiti that made him want to shoot in colour. ‘’The way I photograph has to do with who I am, the way I see and for instance with my work in Haiti, I think it’s interesting that Haiti can simultaneously be a horrific and tragic society and yet have this kind sense of vibrancy and life to it that is very very unique. And I think my photographs are a response to that.’’ He elaborates by talking about the balance he always maintains when he photographs, he talks about how just getting one type of shot doesn’t help you grow as a photographer. I find this to be very true, it's when you experiment that things get there most interesting in photography. Webb’s photography is obviously very unique and I’m not saying that you should go out and copy him, but the deep shadows that loom across many of his photographs really grab my attention both as a photographer and a visual person. It’s this aesthetic that has become his signature style, to quote Webb again ‘’The way I’ve decided to work in colour, with this sort of intense, often intense primary colours and so forth. Allowing shadows to go deep and dark, that’s presumably more of an expression of who I am, as well as what’s out there. It’s a combination of the two.‘’ I feel this describes how his photography is both a reflection of himself as much as the way he views the world. Truer words about documentary photography would be hard to find, as this quote by Webb completely sums up my feelings about when I’m shooting ‘’I think Cartier-Bresson said this but your sort of smell the possibility of a picture, you go somewhere and you feel hmm something’s interesting here; maybe it’s this over here that’s interesting you, and you sort of hang out a little bit and this starts to happen over here. But usually the most exciting pictures are the ones where this over here happens, that you didn’t think possibly could happen, you know? Or just came out the blue totally unexpectedly, that’s when I really get tremendous excitement as a photographer when something happens in some way that’s utterly unexpected.’’ It’s the unexpected that drives us as photographers, the will and excitement that anything could happen and when something does, you get that real rush of a thousand possibilities right in front of you. ‘’I’m trying to look at what I perceive as the full complexity of a place or a situation, the full complexity of the world and the world is a complicated place with many, many different, often contradictory or paradoxical elements to it and I try and embrace that.’’ Webb goes on to say how he doesn’t like photographing in one style, he likes to photograph in many different style, simultaneously. The world is an extremely complex environment and each day brings new and possibly and previously untold subject matter which is all the more exciting for any photographer.